Dust removal is a time-consuming health and safety problem. 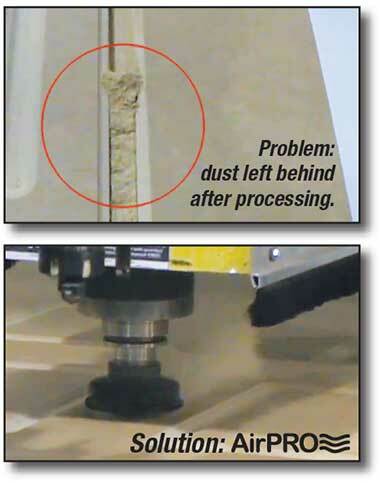 If the dust extraction on your CNC router is inadequate, the AirPRO can remove dust from nested cutting operations so it never has a chance to spread through your shop or accumulate in the cut. Sawdust is ventilated directly into the hood by the AirPRO, leaving a cleaner cut and clean air behind.